It was good to be onsite this week and to see first-hand the progress on M20 Junction 10a project. 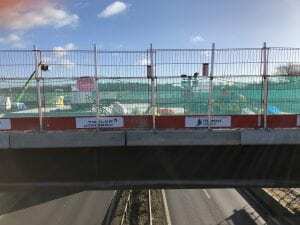 The delivery of the project is taking shape on the ground, following substantive works having been completed on the new motorway gyratory over the M20. This gyratory will comprise two bridges known as the East and West Interchange Bridges. The installation of the steel beams for the bridges has been completed; the East Interchange Bridge went in earlier in January and the West Interchange Bridge installation was completed last weekend. These installations mark a significant milestone for the project and we’d like to thank you for your continued support. The M20 is an international route and is used by large volumes of heavy goods and holiday traffic. Long distance traffic from the M20, A20 and A2070 (south of Ashford) conflicts with local traffic from Hythe Road and Kennington Road. It is predicted that the existing M20 junction 10 will suffer from congestion and long delays in the future if additional capacity is not created. The new Junction 10a is proposed around 700m east of the existing Junction 10. 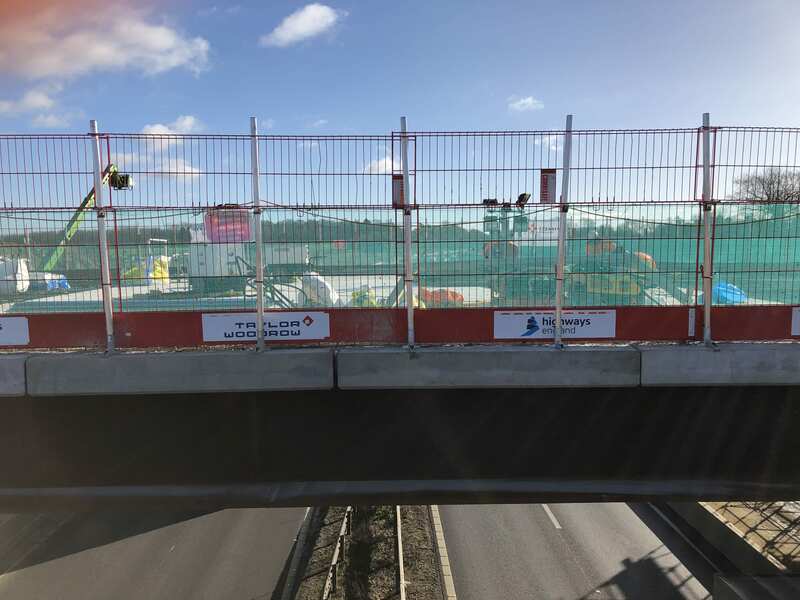 It will use two bridges and connect to the existing A20 and a new dual carriageway link road built to the A2070 near Sevington. 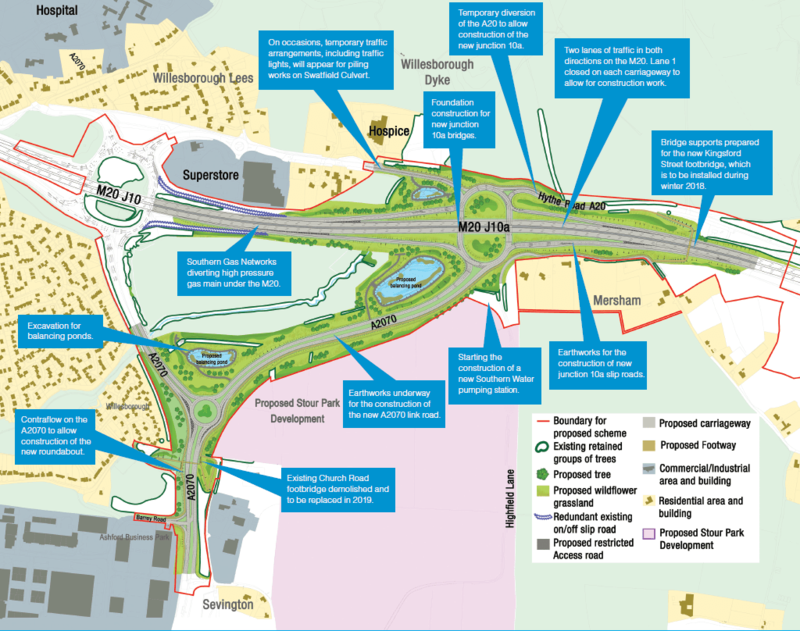 The new Junction 10a in Ashford will be paid for by the transport authority and the South East Local Enterprise Partnership (SELEP), a public and private sector body which tells the government where to spend money to boost the county’s economy. The scheme will be open to traffic in autumn 2019 and will be fully delivered, including landscaping, in summer 2020. The £19.7m allocation for M20 Junction 10a is part of SELEP’s Growth Deal with Government which has brought nearly £600m of investment to East Sussex, Essex, Kent, Medway, Southend and Thurrock and over the lifetime of the Deal (2015-2021) we aim to deliver 78,000 jobs and 29,000 homes.